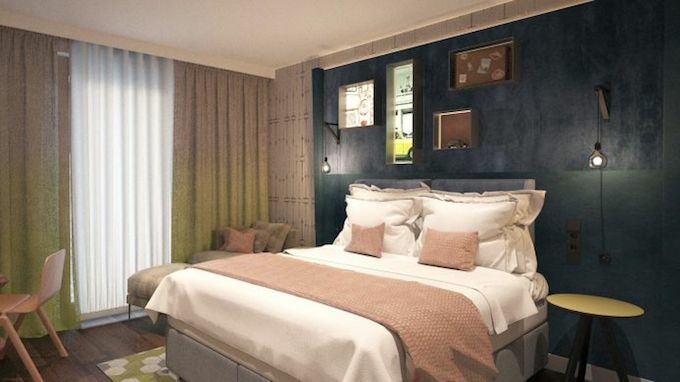 InterContinental Hotels Group (IHG) has opened its 100th Hotel Indigo property globally, with the brand set to double its portfolio over the next three to five years. The newest opening is Hotel Indigo Berlin East Side Gallery, which continues Hotel Indigo’s strong growth as one of the largest boutique brands in this fast-growing segment. Established in 2004, Hotel Indigo now has a presence in more than 15 countries with nearly 100 hotels in the pipeline. Currently, the brand has its largest number of hotels in the US, where there are more than 50 hotels, and Europe, where there are almost 30, from Spain to Russia. Together with IHG’s luxury boutique brand, Kimpton Hotels & Restaurants, IHG’s boutique portfolio makes up almost 170 hotels globally. The boutique hotel sector is the second fastest growing in the industry – only behind the extended stay sector – and is expected to continue to grow at an unprecedented pace. In the coming years, Hotel Indigo is set to debut in more than 10 new countries, including the UAE, Peru, Australia, New Zealand, India, South Korea, Japan and Vietnam, as well as expanding in markets where Hotel Indigo has a significant foothold already, including the US and UK. Eric Lent, IHG’s senior vice president, Global Marketing, Upscale Brands, said: “Hotel Indigo is now at home in 100 different and vibrant neighbourhoods globally, which is an incredibly exciting milestone. “While more than half of our current estate is in the US, we are set to grow significantly in new markets with almost half our new hotels due to open in our Europe, Middle East, Asia and Africa (EMEAA) region. Just as no two neighbourhoods are alike, no two Hotel Indigo properties are the same, taking inspiration from the area around each hotel to inform all aspects of the guest experience, from the boutique design to locally-inspired restaurants and bars. Hotel Indigo Berlin – East Side Gallery, Germany: The 118-room hotel takes its design cues from the creative energy of the East Side neighbourhood, marrying raw industrial architecture with retro elements such as graffiti blocks and a bright colour scheme, inspired by the famous Trabi car. Hotel Indigo Dundee, UK: Located in the UK’s first UNESCO City of Design, this hotel was transformed from a 200-year-old jute mill into an iconic hotel with design celebrating and reflecting the property’s fascinating heritage. The hotel tells the story of the Baxter family, who built their first spinning mill on the site in 1822 and became one of the world’s largest linen manufacturers. Hotel Indigo Shanghai Hongqiao, China: Emerging as a new corporate hub, the Hongqiao area is being shaped as ‘The future of Shanghai’ and is home to the third Hotel Indigo property in Shanghai. Inspired by the lives of the area’s business tycoons who made their homes here in the 1930s and 40s, the hotel’s design features nods to old Shanghai villas as well as elements from the interiors of vintage train carriages, referencing the nearby train station which connects travellers to both Shanghai and Beijing via high-speed rail. Hotel Indigo Kansas City – The Crossroads, Missouri, US: Once known as Film Row, whose four-square blocks were first built to distribute Hollywood’s newest motion pictures throughout the Midwest, The Crossroads Art District is now home to an eclectic mix of artist studios and galleries. Nestled in the heart of neighborhood, Hotel Indigo Kansas City – The Crossroads is located in the building that once housed the Kansas City Costume Company. Hotel Indigo Memphis Downtown, Tennessee, US: Originally developed by Holiday Inn founder Kemmons Wilson, Hotel Indigo Memphis Downtown pays homage to the history of the music of Memphis. Expect to see memorabilia from blues and rock legends incorporated into the hotel’s unique live music-inspired design, and enjoy a delicious meal from chef Ryan Trimm, lauded in Memphis Business Journal’s 40 under 40 in 2016. 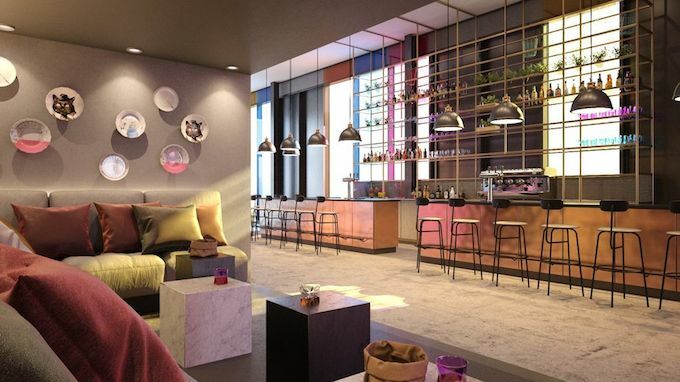 Openings coming up for the brand in 2019 include: Hotel Indigo Milan – Corso Monforte; Hotel Indigo Stratford Upon Avon; Hotel Indigo Dubai Downtown; Hotel Indigo Miami and Hotel Indigo Coachella.